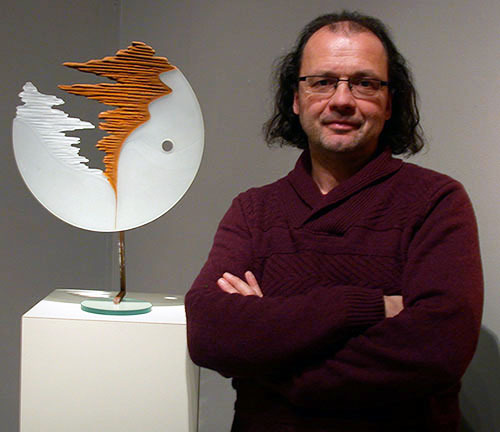 Czech-born artist Alexander Fekete arrived in the United States in 1992 as a Fulbright scholar. 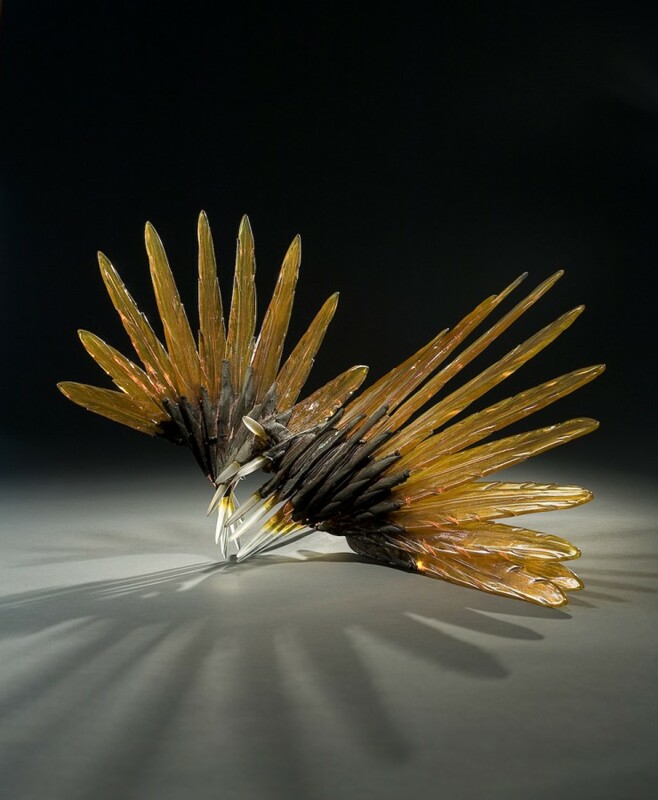 He received his MFA from the University of Illinois two years later when his love affair with glass began. 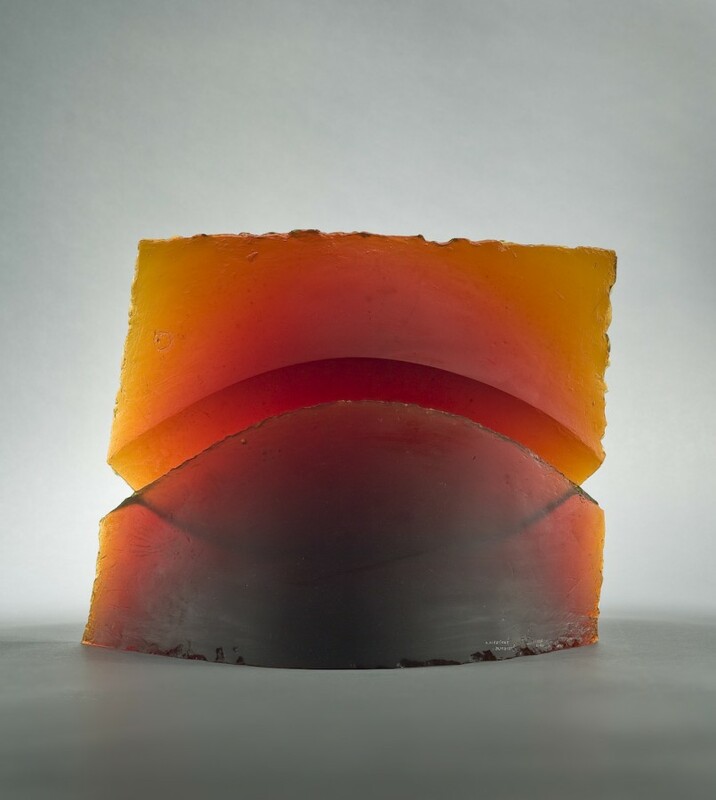 His work veers from the glassblowing tradition in that he deconstructs blown glass to create minimalist sculpture in asymmetrical shapes with positive and negative spaces. He is represented by Cinema Gallery, Urbana, Illinois. 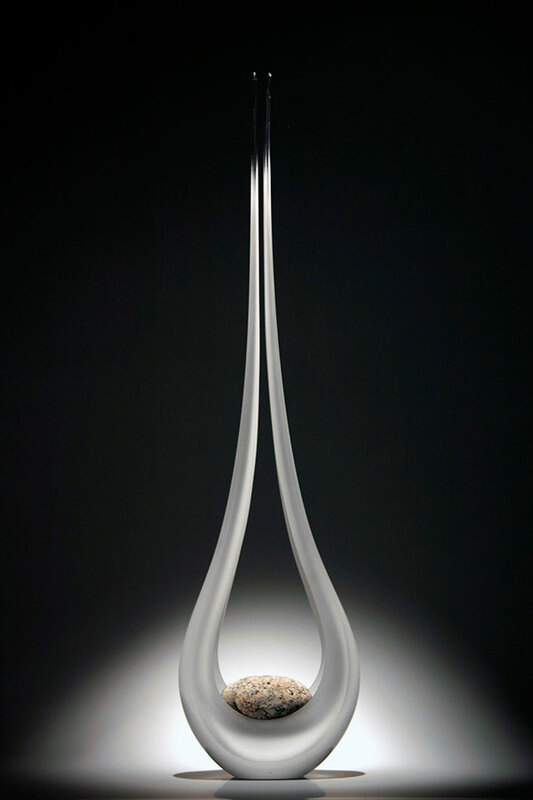 Reversing plasticity while safekeeping light embodies the magic of glass. 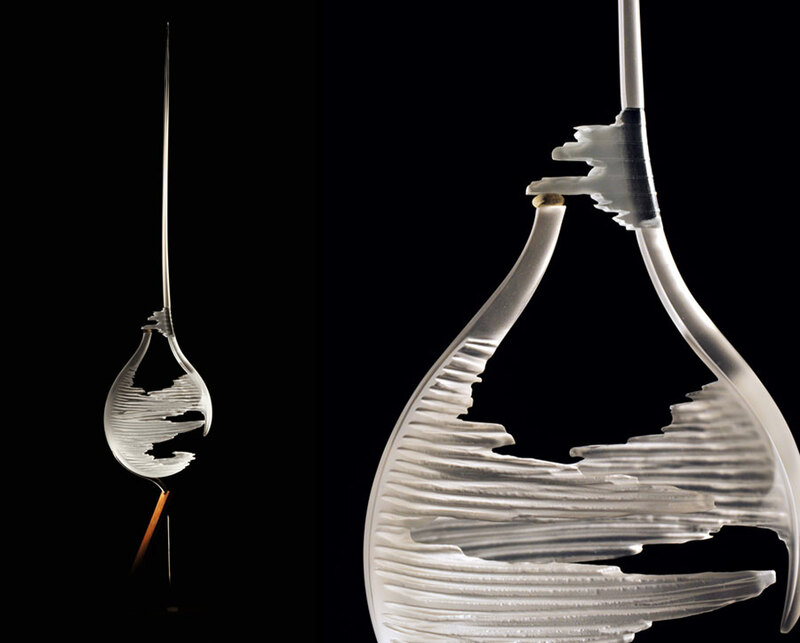 Flow of molten glass can be as mesmerizing as its obstinacy and unyielding nature is maddening. 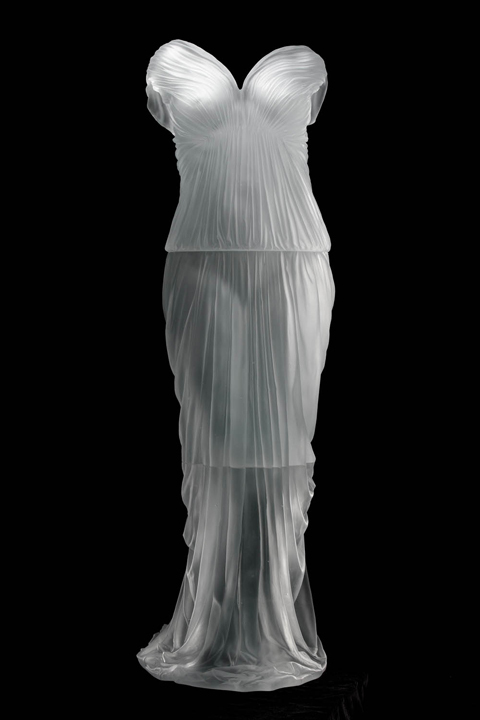 The translucency and inner glow are inspirational. 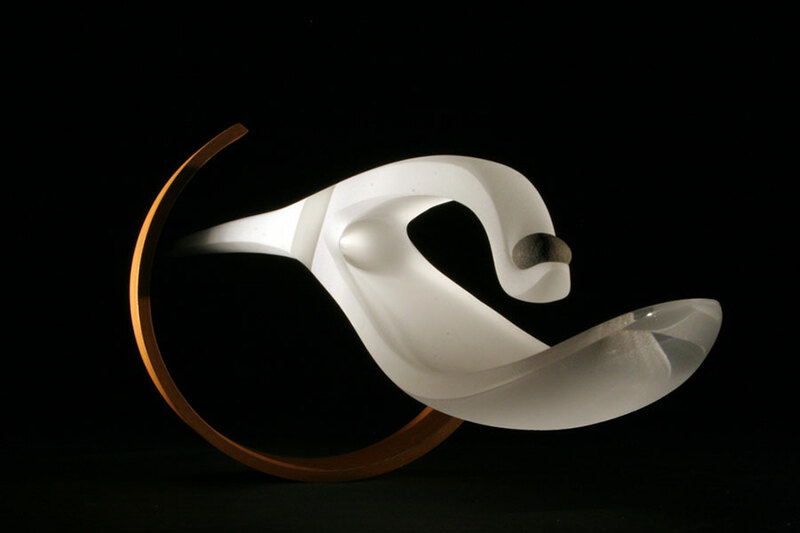 Fluidity facilitates a wide range of forms and expressive potential--enough to satisfy my curiosity and yearning for object making. 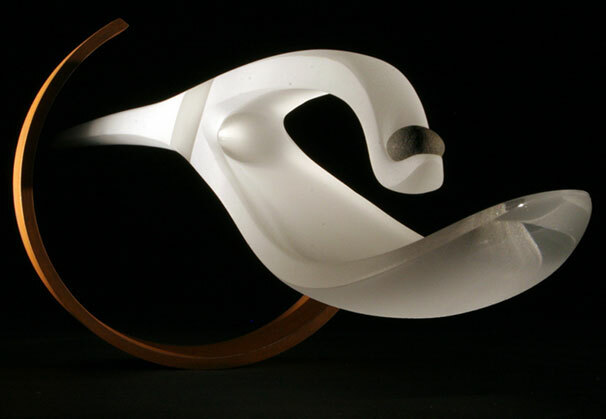 The better part of creative energy is exhausted to explore forms and shapes unique to glass as a medium. Two parallel lines of inquiry take place. The aim of one is a minimal, visually balanced statement. 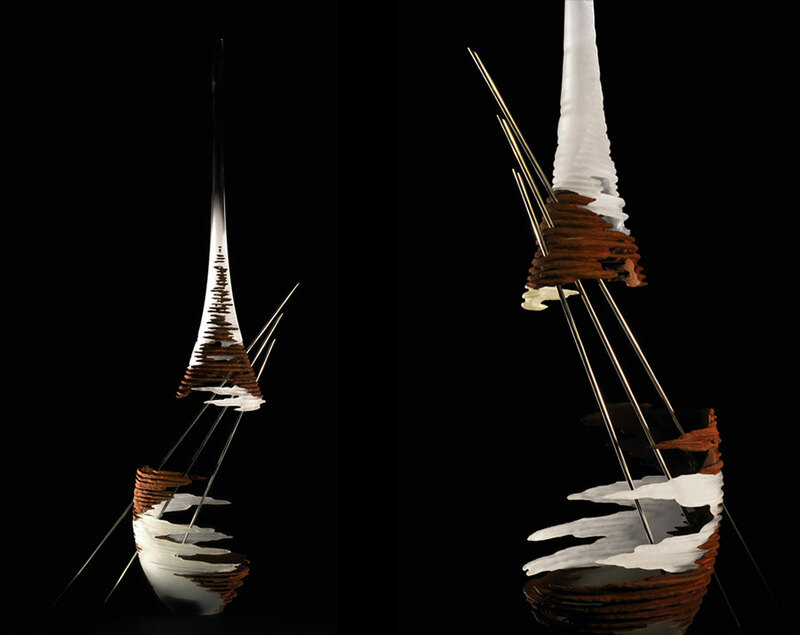 The objective is to capture a visual impulse, refine and represent its bare minimum. The challenge is to stop extensive editing at the ideal moment, just before the essence dissipates. 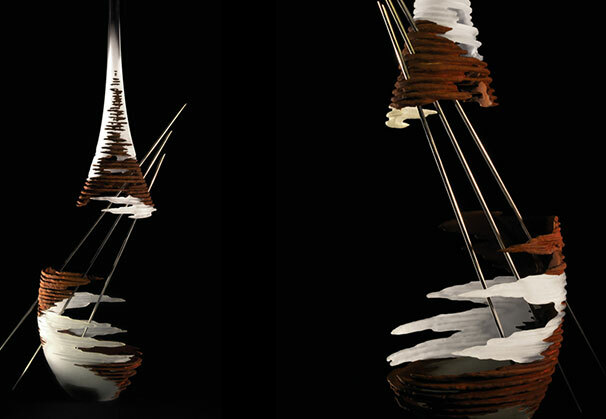 The second line revolves around reassembly of deconstructed, partially degraded, and once visually appealing forms. Juxtaposition of perfection and decay may be a reflection on Time and Memory. Perhaps. Or release from the tightly controlled process outlined above. 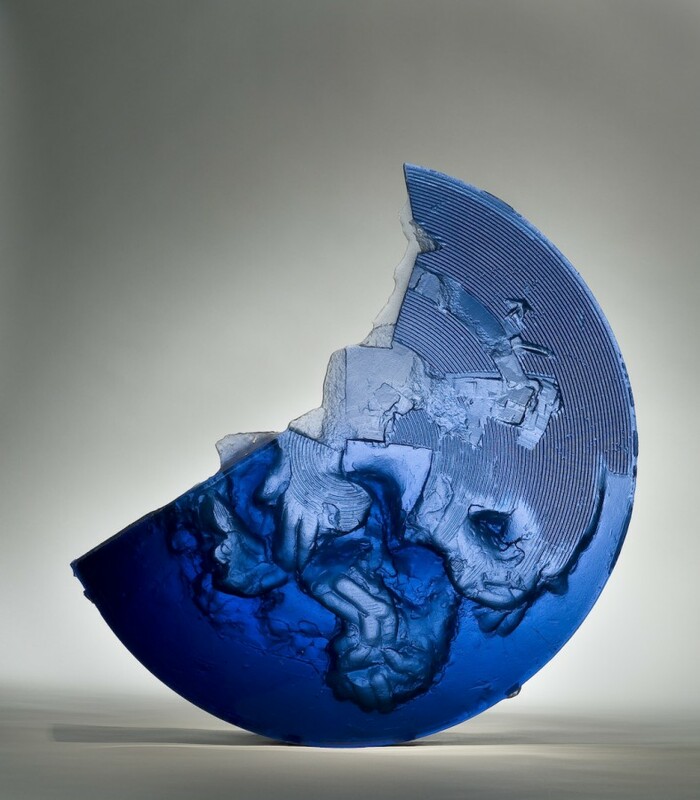 The outcome is abstract forms sculpted out of glass. The visual impulse is usually found at the crossroads of memories, pencil marks and desperation while roaming the realm of the subconscious, usually away from the studio. 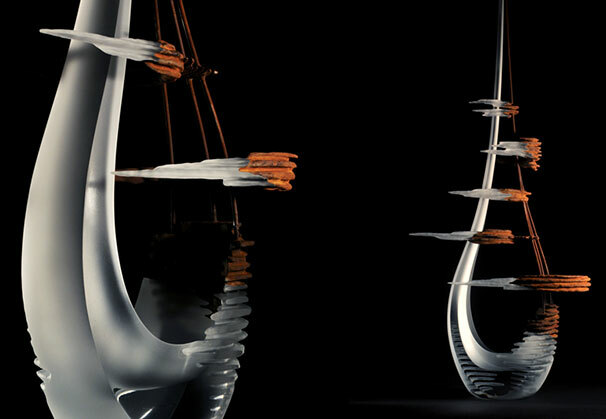 No effort is made to directly interpret surroundings or intriguing visual phenomena. Separate by years and only on some occasions the visual impulse becomes evident. So far I haven’t successfully located the inspiration on demand. Days or weeks of drought can pass before the cracks appear in the accumulated sediment. Sketching initiates the hands-on process. 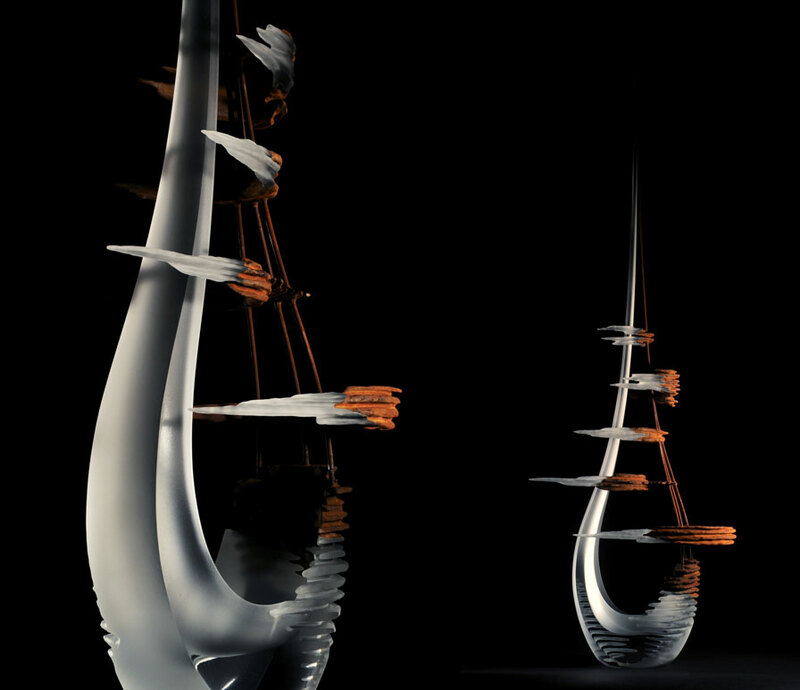 The essence of form is created on the pipe by free blowing and shaping. The hot shop stage exploration is direct. Mishaps end up back in the furnace; those are at times frustrating, but often point to a new direction or return to sketching. In the cold shop cutting exposes the sought after curves; grinding and sanding fine-tune the details. Surface carving and sandblasting provide the texture. Sandblasted is the preferred finish as it allows a better grasp of lines and forms. Polishing is used sparingly. When employed, it enables the objects to morph better with the surrounding space or to highlight volumes within. Some work requires assembly, inclusion of laminated glass, steel elements or iron oxide coating. 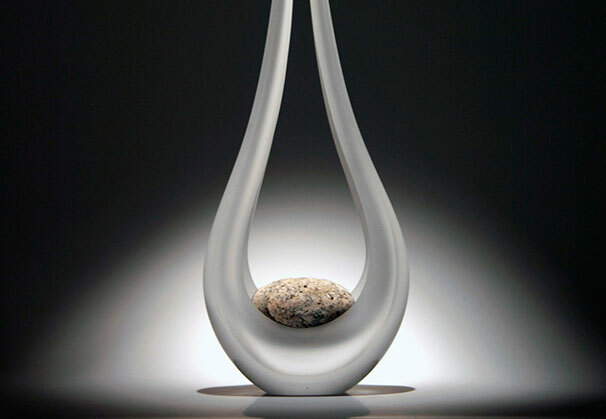 Pebbles and river stones are shaped by nature and frequently turn into focal points. 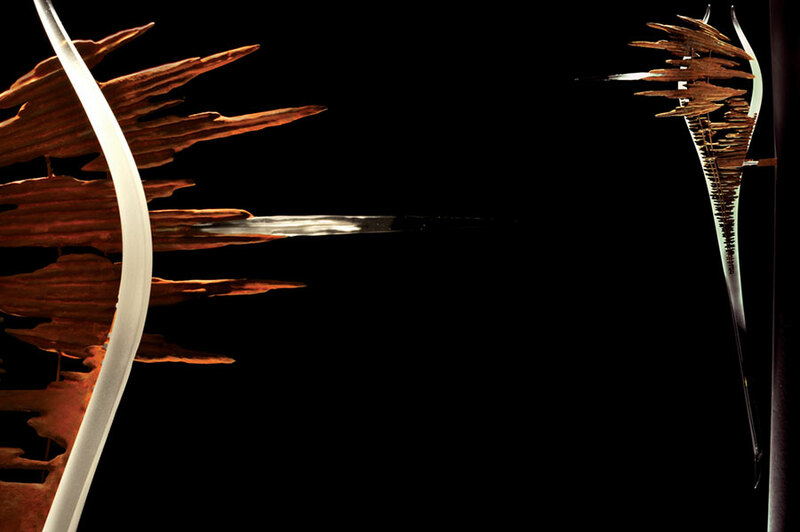 In a broad sense the forming, shaping, abrasion and polishing of pebbles by elements mirror what happens at the studio. This, however, does not constitute the reason for their inclusion. 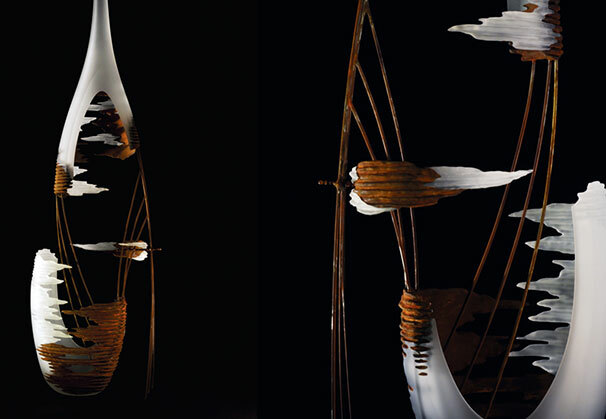 Departing from glassblowing tradition, the substantial walls and asymmetrical shapes are the consequence of sculptural pursuit predating glass engagement, that of free-flowing and minimal forms. 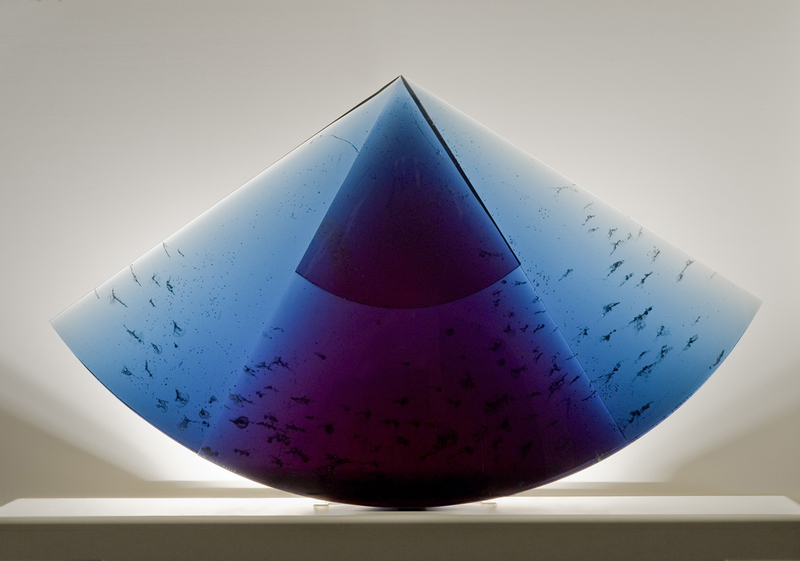 The focus on form has left some unique qualities associated with glass, brilliant colors especially, beyond the horizons of interest. 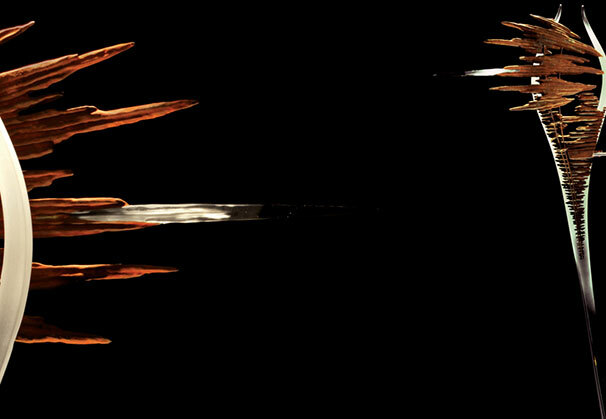 Attention to visually refined detail is critical, both for the piece created and as jumping off point for future work. Glass is an active co-author all along; strictly imposing my will rarely delivers. Alex Fekete was born in what was then Czechoslovakia and first arrived in the U.S. on a Fulbright Scholarship in 1992. He received his MFA from the University of Illinois two years later. 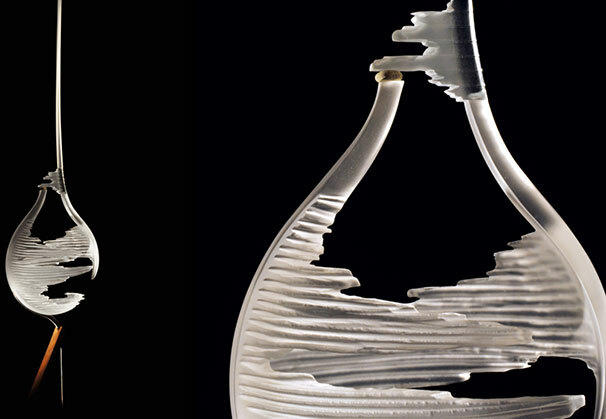 His affair with sculpted glass started around the same time, coming into clearer focus over the last decade. 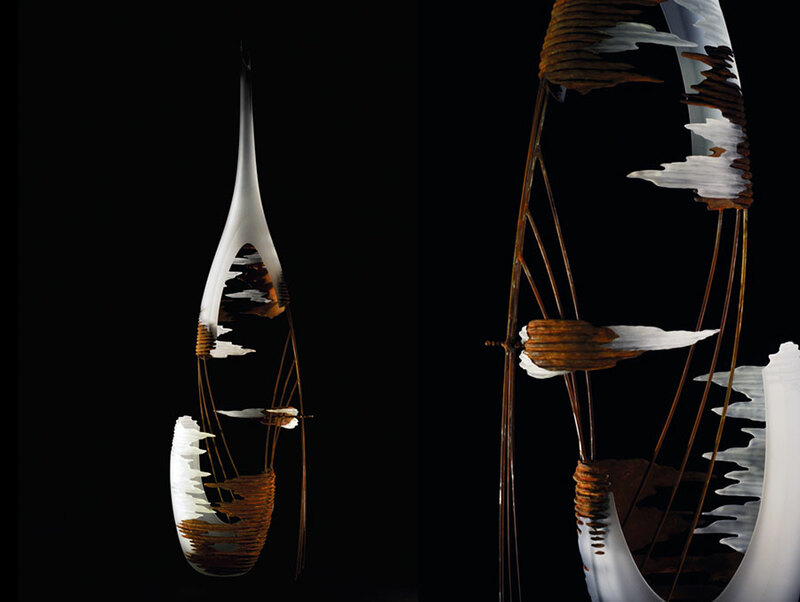 Fekete’s glass has been shown at SOFA Chicago and New York, Glassweekend at WheatonArts, Crafts America and CraftBoston Shows, National Liberty Museum in Philadelphia, and K-Gallery in Bratislava, Slovakia. 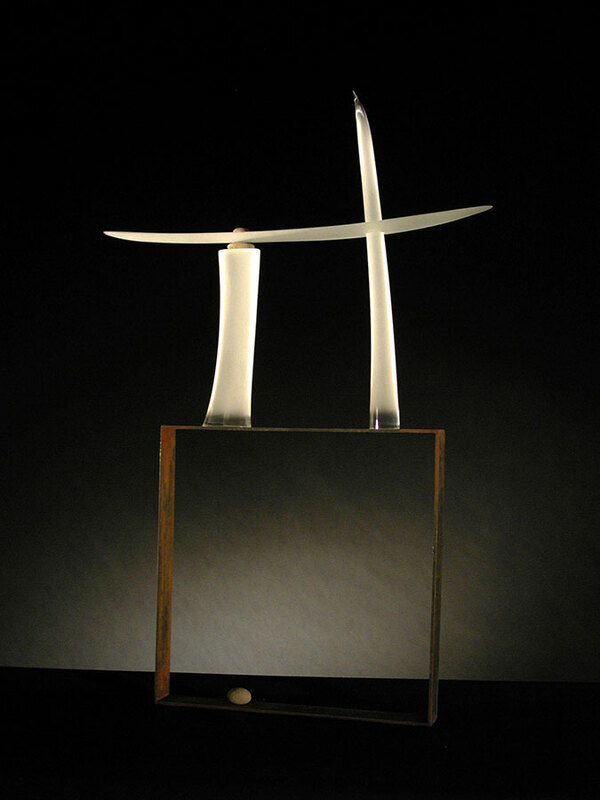 His glass has appeared in New Glass Review, American Style, and most recently in the book Art Glass Today. 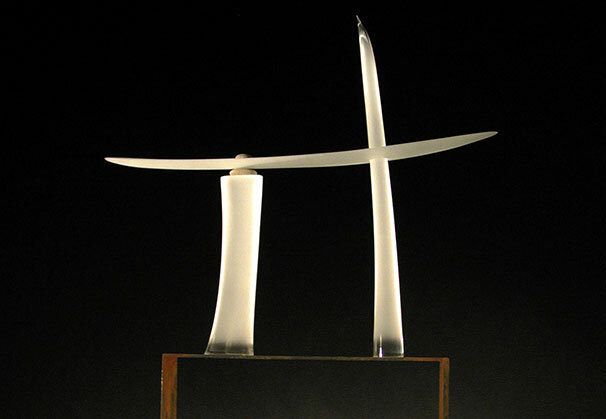 It received the Excellence Award, Ohio Designer Craftsmen; Best Sculpture Award, Mitchel Museum, IL; Award of Excellence, Westchester Craft Show; Cohn Family Trust prize, Philadelphia Museum of Art craft show; and Excellence in Glass Award, West Palm Beach Craft Show. We are grateful to Cinema Gallery, Urbana, Illinois, for providing the Artist of the Month.